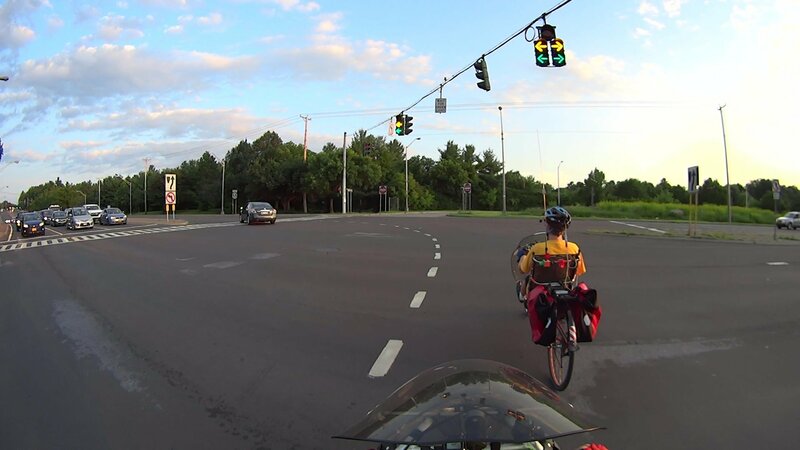 The minimum green and yellow times on the signals from Burnett Blvd to Rt 55 are too short for bicycle traffic making a left turn across six traffic lanes. 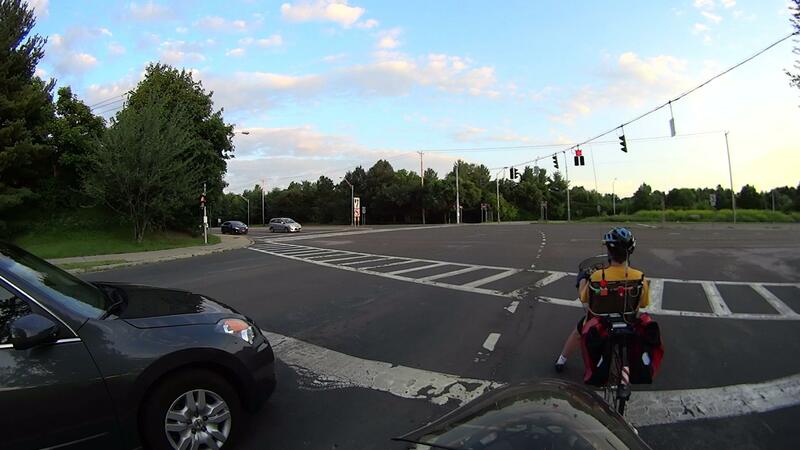 The pictures show key points from our ride on 2015-07-10, returning from the Balloon Festival in Poughkeepsie. We took the DCRT around Poughkeepsie, went through Arlington to Rt 376 at Collegeview, then took Rt 376 Red Oaks Mill. The image sequence numbers identify frames extracted from video files. The front camera (a Sony HDR-AS30V) runs at 60 fps and the rear camera (a Cycliq Fly6) at 30 fps, so you can directly calculate the time between frames. The Fly6 timestamp is one hour ahead, for reasons I don’t quite understand. Given the number of drivers blowing through red signals at full speed, devoting one second to watching for oncoming traffic seems prudent. The car has reached the pedestrian ladder across Rt 55, but we’re still crossing the westbound lanes of traffic. Note that I’m lined up with the lane closest to our starting point on Burnett: this is a big intersection. 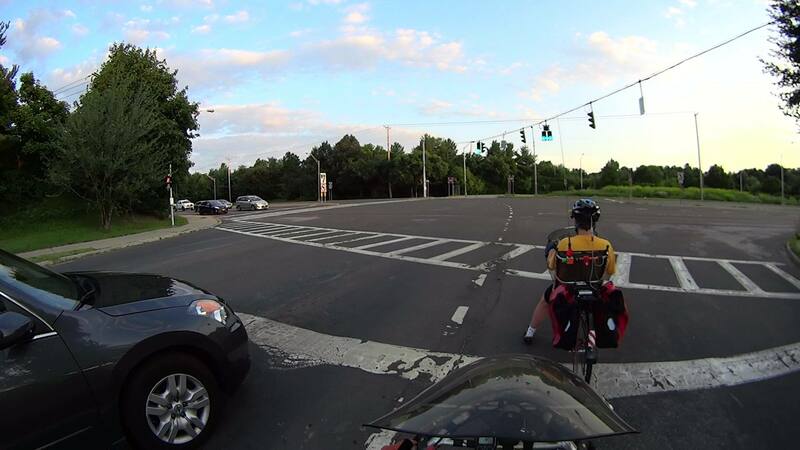 We may not be the fastest riders on the road, but we’re not the slowest, either. 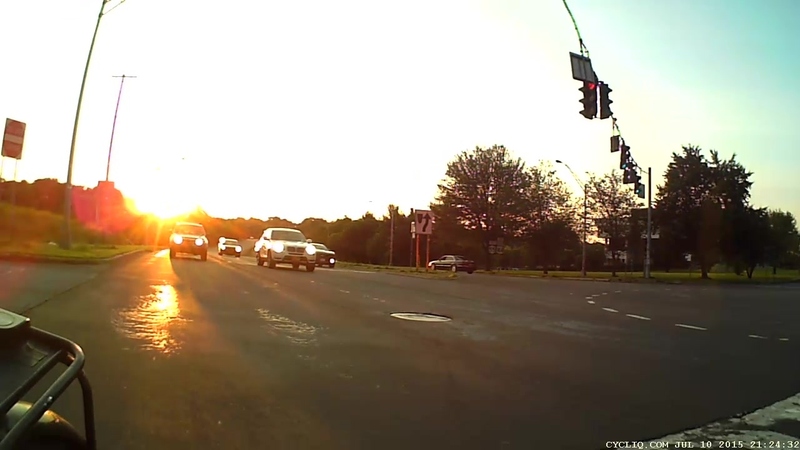 They started rolling immediately after their signal went green; waiting a second isn’t a universal practice. 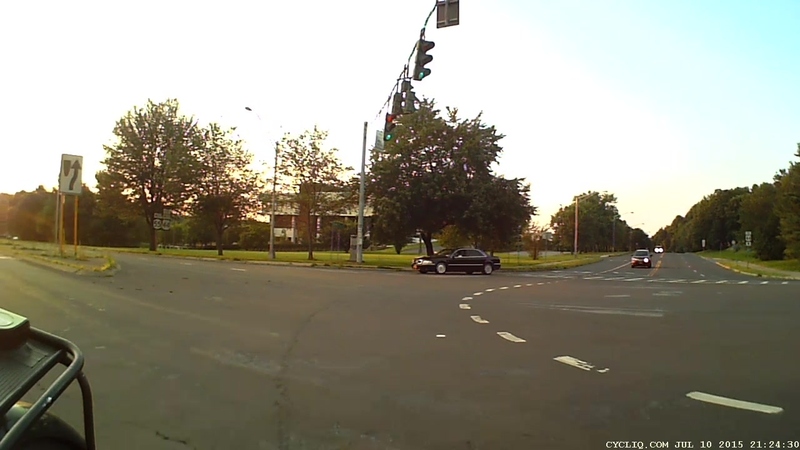 Setting the minimum Burnett green to 12 seconds, the minimum yellow to 10 seconds, and the minimum delay from Burnett green to Rt 55 green to 30 seconds would help cyclists (just barely) reach the far side of the intersection before opposing traffic starts rolling. 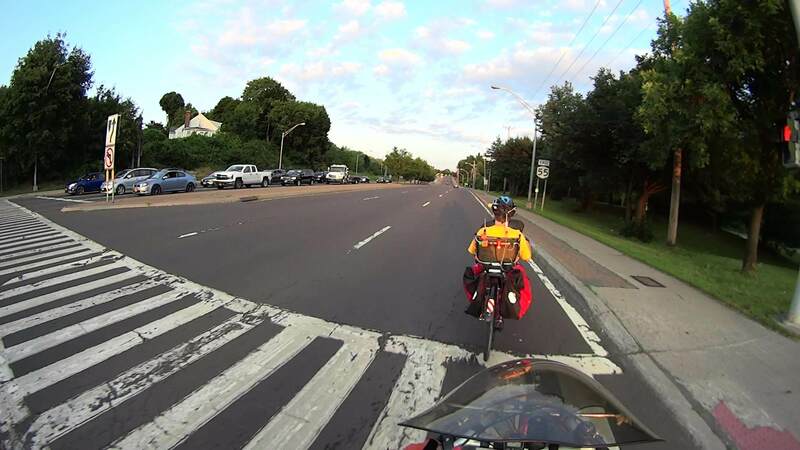 As a bonus, adjusting the sensor amplifiers on Burnett to respond to bicycles and marking the coil locations on the pavement in both lanes would help us through the intersection during low-traffic-volume times, as our bikes seem unable to trip the signals.